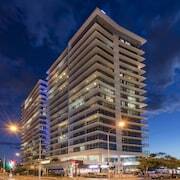 Situated near the beach, this apartment building is within a 10-minute walk of Kirra Beach and Coolangatta Beach. 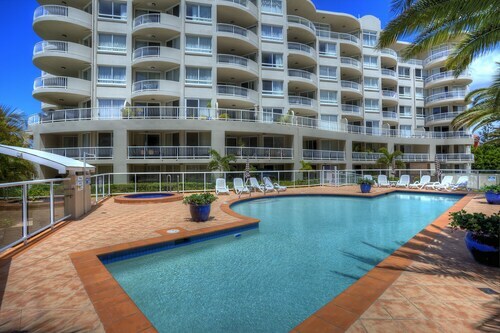 Greenmount Beach and Snapper Rocks are also within 2 mi (3 km). 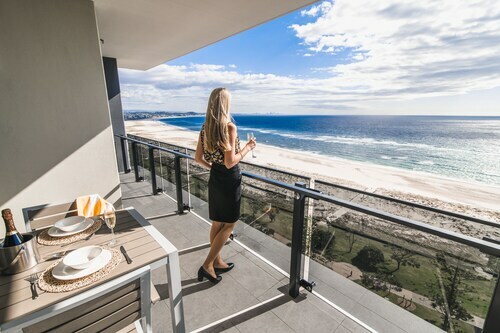 Perched at the southern tip of the beautiful and sunny Gold Coast, Kirra is only a few kilometres away from being claimed by NSW. 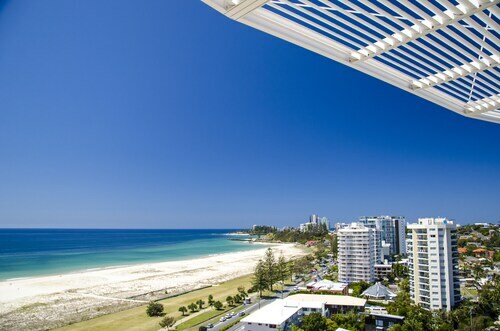 Just above the border, Kirra offers a low-key vibe away from the hustle and bustle of other parts, and is home to beautiful sandy shores and some fantastic surf. 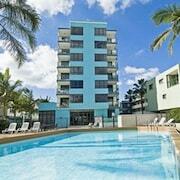 If you like the idea of living like a local on your Gold Coast holiday – book one of our Kirra hotels. 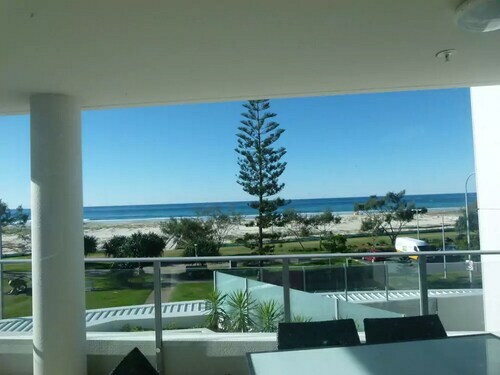 Kirra Beach was famous amongst surfers in its heyday. 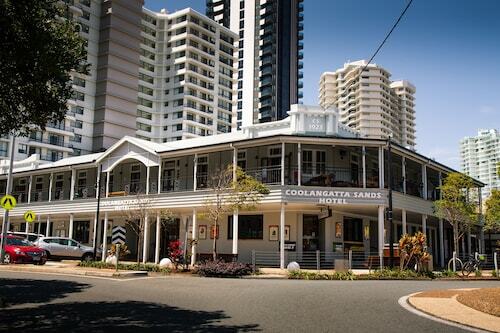 Home to Queensland’s first surf club, many surfing greats trained in and around these salty blue waters. Today there are three surf lifesaving clubs, which still run ‘little nipper’ events for the kids and major surf comps for the adults. You might even catch a glimpse of them from the shores. While the conditions have changed dramatically since the early days, Kirra Beach is still a great spot for surfing. And some days, depending on the conditions, it’s magnificent! If surfing isn’t your style, the beach here is gorgeous and clean, perfect for sunbaking and strolling along the water’s edge. Why not pack a picnic, get your hands on a beach umbrella, and lay out on your towel all day long? Isn’t that what beach holidays are all about? 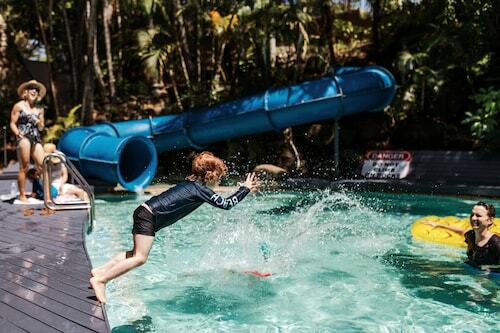 With trained lifeguards on patrol, you can take a dip and cool down knowing there’s an extra set of eyes making sure you keep your head above water. Just behind the beach there’s a path leads all the way to Coolangatta Beach and Greenmount Beach, which is a lovely sheltered spot beneath the Greenmount headland. 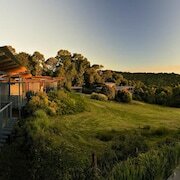 It also winds its way to Rainbow Bay, a quiet beach ideal for families. 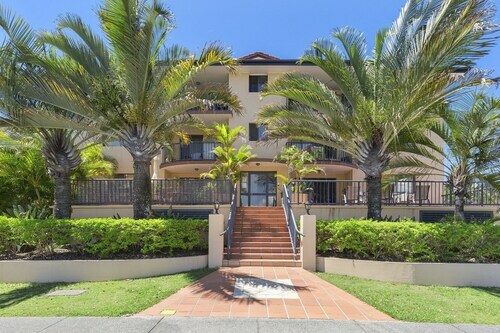 Keen to see more of the coast on your Kirra holiday? 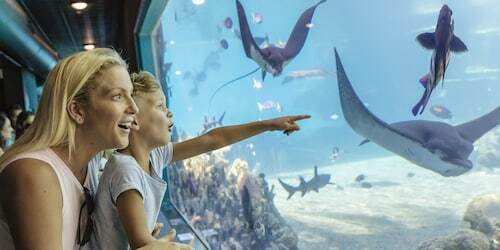 It’s an easy drive north along the Pacific Motorway to the theme parks, or you can head down across the border towards the gorgeous northern NSW beaches. 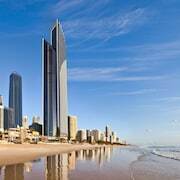 Following the coastal route, the Gold Coast Highway will zip you straight up to Surfers Paradise in just 30 minutes and Burleigh Heads is just 15 minutes away. 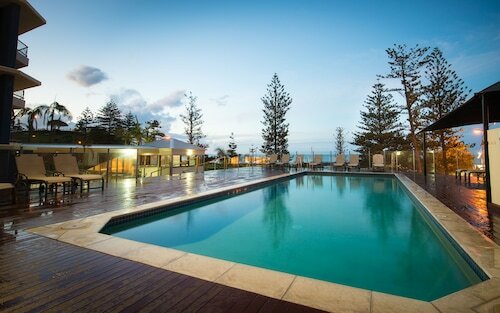 With awesome beaches, great surf, and a real local vibe that’s hard to find on the Gold Coast, wot’s not to love about Kirra? 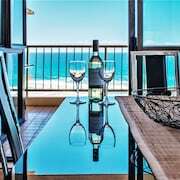 Get in and book your Kirra accommodation with us and start packing the togs and sunscreen. 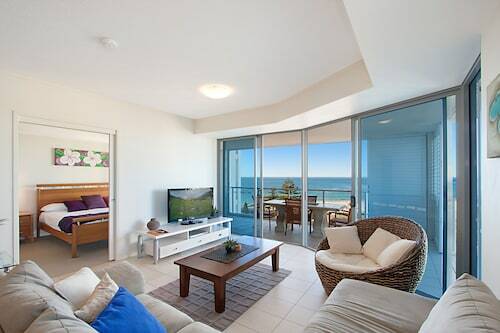 How Much is a Hotel Room in Kirra Beach? 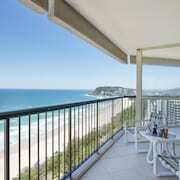 Hotels in Kirra Beach start at AU$57 per night. Prices and availability subject to change. Additional terms may apply.